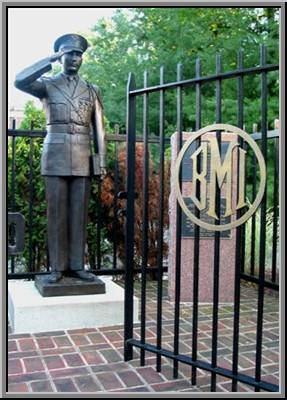 Statue was dedicated October 1996 during BMI Alumni Association Reunion of 1996. The “Cadet Statue” is located on 70 Park Street in Bordentown, NJ. Those familiar with the area the “Cadet Statue” is in front of where “Old Main” used to be before the fire. See close up of the tablets inside the statue gate.